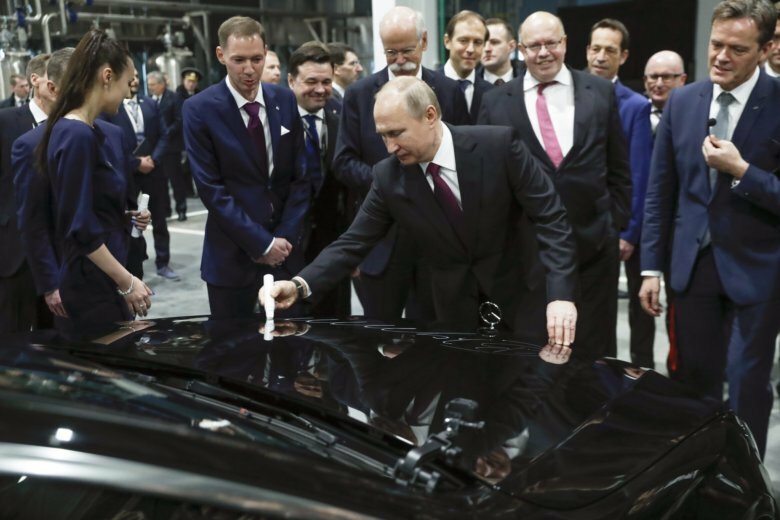 BERLIN (AP) — Germany’s Daimler AG has opened a new Mercedes factory in Russia, part of a 250 million euro ($281 million) investment it says will create 1,000 jobs. Germany’s government stressed the visit didn’t signal a return to business as usual. Chancellor Angela Merkel’s spokesman, Steffen Seibert, said Germany’s position on sanctions imposed over Russia’s actions in Ukraine hasn’t changed.